We believe that each individual should be challenged to step beyond their own abilities: To ride with confidence, to climb with technique, to control the sail, to bike one more hill. Stepping beyond also means personal growth: Developing self-reliance, trusting in new friendships, learning to be sensitive to the needs of others in community. 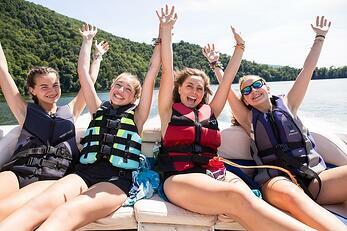 Over the years we have kept our promise of staying a small, family-oriented summer camp for teens. We believe that our camp’s small size directly affects the quality of our programming as camp quickly becomes a close knit community that creates strong, positive interpersonal relationships. Campers are challenged on activities every day which builds confidence. The combination of mutual respect among campers and staff and the increased self-confidence through physical endeavors helps teens to begin to discover who they really are and how they fit into this world. Being a young teen can be a challenging time and SMA is a fun, safe place for teens to grow emotionally and physically. 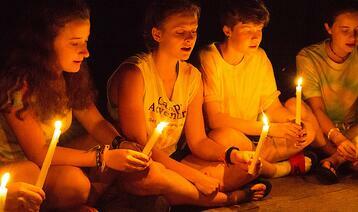 What are the benefits of a small summer camp? 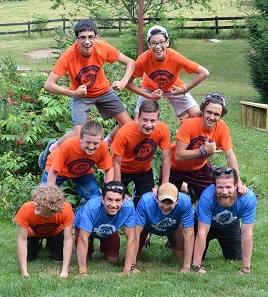 Recommended body copy: We believe that our camp’s small size directly affects the quality of our programming and the accomplishment of our mission, as SMA quickly becomes a close-knit community that creates strong, positive social relationships. 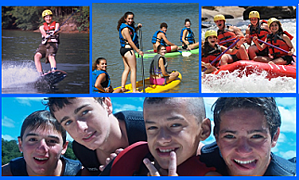 Campers will participate in activities that are adventurous, team-oriented, sometimes challenging, and always fun! Campers also build relationships with their peers and counselors through learning tons of new skills, and both socializing and teaching are made easier by the fact that we have small groups each session. Most of all, our small size lets us create an atmosphere of acceptance. 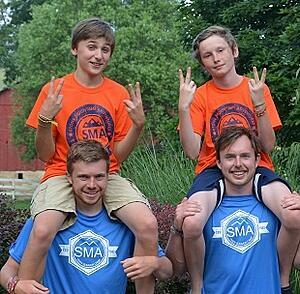 Being a teenager can be really tough sometimes, but SMA is a fun, safe place for campers to be themselves, have fun, and grow! Recommended body copy: Most summers, the ratio of campers to staff on activities is usually about 4 to 1. Just like small class sizes in school, the tight camper-counselor ratio ensures that campers can more effectively learn skills and retain them. Rivers, cliffs, and forests are our summertime classrooms, and often the instruction is one-on-one! Getting this kind of attention is key to giving campers the confidence to try new activities like horseback riding, rock climbing, and wakeboarding. Campers come to SMA in all shapes and sizes, and all have their own unique needs. 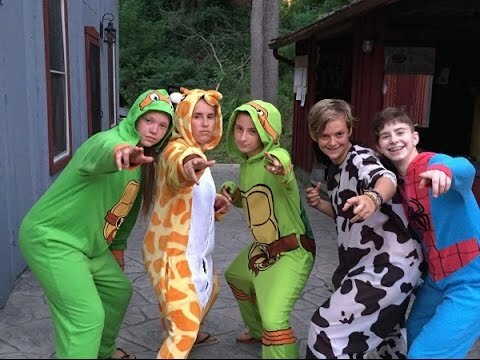 Our small size certainly helps us meet the needs of our campers, but it’s the incredible effort that Director Jud and the staff put into ensuring each camper has their dietary needs met, medication given, and behavioral qualities understood, among lots of other things. When teens take a break from TV, cell phones, and the Internet, they rediscover their creative powers and engage fully in the real world—real people, real activities, and real emotions. Importantly, they realize that there’s plenty to do and always something else to be curious about. 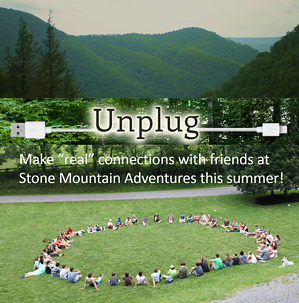 Many teen summer camps do not allow cell phones, iPods, or other electronic devices in an effort to create a more interpersonally engaging camp culture. This may sound harsh to you and your teen, but the advantage is that without those plugged-in distractions, your teen will learn to slow down and appreciate other worthy experiences. Living life in the slow lane for a little while makes it easier to find hobbies, rediscover the wonder of reading, appreciate the beauty of nature, and engage with and learn from others! Every day after dinner we have a meeting with all campers and staff to share stories and choose the next day’s activities. Sharing “warm fuzzies and cold pricklies” gives everyone the chance to share something good or not-so-good that happened today. The only rule: you have to end by sharing a “warm fuzzy!” It’s incredible to see a shy 12 year-old camper share a story in front of the entire camp! The best part is that for the time the camper is sharing, everyone else is focused only on them. That simply can’t happen in larger camp settings! Once we share warm fuzzies and cold pricklies, you’ll get to choose your own activities for the next day! Director Jud carefully plans six activities each for the morning and afternoon activity sessions. There’s always a balance of activities, including adventure activities, water sports, traditional sports, and creative arts.